Grow your own mushrooms at home - inside and outside! Join local mushroom enthusiast and educator, William Padilla-Brown, for this amazing workshop on Low-Tech Mushroom cultivation. Learn how to grow mushrooms with materials you probably already have around the house. This class will start with a presentation on the Lifecycle of Mushrooms to cultivate an understanding of our Fungal Friends. Then we'll go through hands-on demonstrations from taking spore prints and easy clones, to starting spores, or commercial culture to be expanded for starting patches on straw and logs for fruiting indoors and outside! We will have models of small scale fruiting chambers for growing fresh mushrooms in or outside the home! 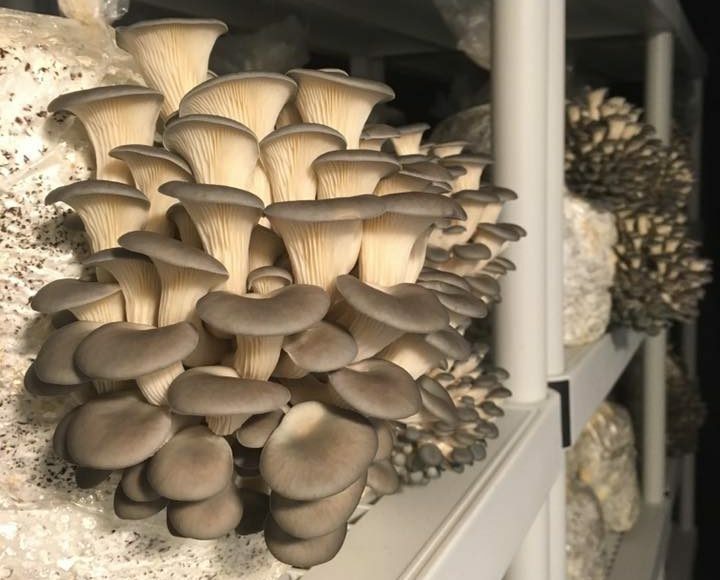 Participants will leave with starter cakes with their choice of Oyster, Shiitake, Wine Cap, Lions Mane, Reishi Mushrooms, or Pink Oyster Mushrooms! This workshop includes classroom based instruction as well as hands-on exercises in various types of low-tech mushroom cultivation - suitable for beginners as well as experienced individuals. William Padilla-Brown is a Social entrepreneur, Urban Shaman, Citizen Scientist, Poet, Mycologist, Amateur Phycologist, and a Certified Permaculture designer. William has spent most of his life traveling the world, stopping at such places as The Pyramid of the Sun, Olmec Ruins in Villahermosa and Campeche Mexico, England, France, Taiwan, and various States on the East and West coast of Northern America. He operates MycoSymbiotics, LLC - a small mycological research and mushroom production business. He has educated children and adults on topics varying from Mushroom Cultivation to Nutrition via. various workshops and programs in Pennsylvania, Maryland, DC, Delaware, and Colorado. William dropped out of High School at age 16 and has since been perusing a non-traditional independent approach to his Higher Education actively promoting alternative education options. William received a certification in Permaculture from Susquehanna Permaculture, and NGOZI.